Listed as one of Canada's Best New Restaurants in 2010 by enRoute Magazine, CHARCUT Roast House is a carnivore's dream come true (i.e. my dream come true). 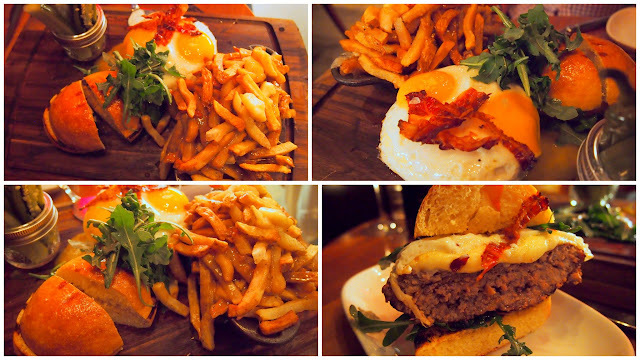 I'll begin this post by saying that my dinner at CHARCUT was spectacular and truly memorable. It rocked my world. Yes, it did. Located in the swanky Hotel Le Germain in downtown Calgary, I had the unforeseen pleasure to dine at CHARCUT (Twitter: @CHARCUT, Facebook: CHARCUT Roast House) a couple of weeks ago. It was "unforeseen" because Air Canada decided to have a wildcat strike the morning of my Maui trip...how ridiculous! With our flight to Maui cancelled, my friend and I had to spend the night in Calgary (after waiting for 10 hours at Pearson) and was rescheduled to take a flight to Maui the next morning from Cowtown. I actually did not even think of going to CHARCUT until someone on Twitter reminded me of it (I was evidently tweeting my frustration about having to go to Calgary haha). Chef Connie DeSousa at CHARCUT tweeted me back right away and invited me to drop by CHARCUT. And so I did! I basically made my reservation on Twitter and found myself at CHARCUT several hours later. Never underestimate the power of Twitter, people. Chef Connie was one of the three finalist on Season One's Top Chef Canada along with chef Rob Rossi (Bestellen) and chef Dale MacKay (Ensemble), with chef Dale ultimately winning the inaugural competition. Chefs and owners John Jackson and Connie DeSousa. 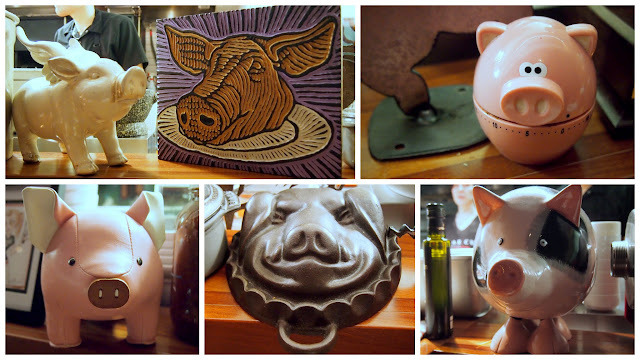 Many pig ornaments can be found at CHARCUT. Very cute touch. Sorry for the grainy-orange-y pictures as I didn't have my DSLR. If I knew I was gonna stop by CHARCUT I would have lugged it with me on the trip. Trust. Warm Raclette Cheese - Cast iron baked pan bread made to order. Thanks chef Connie for the CHARCUT tee! CHARCUT definitely lives up to its hype. Impeccable and friendly service with a versatile kitchen, CHARCUT focuses on local fresh ingredients with all of its meat butchered and smoked on site. The roast house serves delicious, wholesome food. Period. With plates that are meant to be shared, the restaurant is a great choice for both family and friends. My personal favourites? The pig head mortadella (house made sausage stuffed with pistachios and truffles were to-die-for), the bone marrow (I really can't complain about rich and creamy marrow with escargot au gratin) and the share burger (juicy and served with a fried egg, the burger was seasoned well and grilled to perfection). Last but not least, I also wanted to stuff my face with duck fat fried poutine; the gooey cheesy goodness with truffle infused gravy. Really? Too good! I apologize for the long list of "favourites" but I seriously cannot just pick ONE favourite. CHARCUT is the real deal. If I ever find myself in Calgary again, there will be no hesitation on my part that I will hit up CHARCUT for a second time.